"Does Galaxy Tab play AVI files?" Have you ever asked the same question? Actually, Galaxy Tab supports a wide variety of multimedia file types, including MP3 and AAC music files plus DivX, XviD, MPEG4, H.263, and H.264 video files. Most of the time you can enjoy AVI videos up to 720p on Galaxy Tab smoothly, but you may also encounter troubles when playing AVI files on Galaxy Tab. That is because AVI is a container format. It can be encoded by different codecs, some of the codecs may not compatible with Galaxy Tab, so you are unable to play these AVI files on Galaxy Tab successfully. 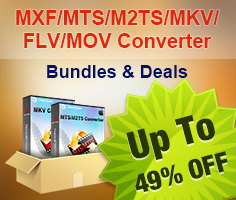 In that case, you need a galaxy tab video converter to do format conversion. The following guide tells how to create Samsung Galaxy Tab AVI video, so as to put and play AVI on Galaxy Tab without trouble. Once run it, click "Add" button to load AVI files which you wanna play on Galaxy Tab. 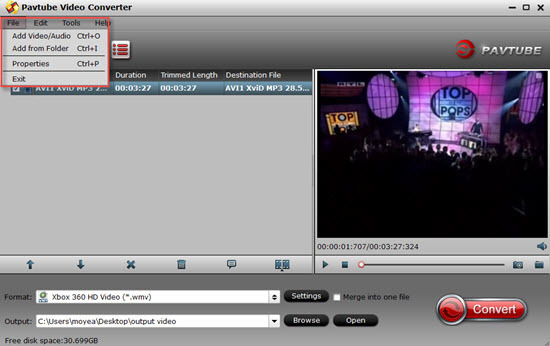 The Program supports batch conversion, so you can add multiple AVI files into it to convert at a time. If you wanna combine several AVI files into a single file, you can click tick off the checkbox "Merge into one file" to realize the goal. 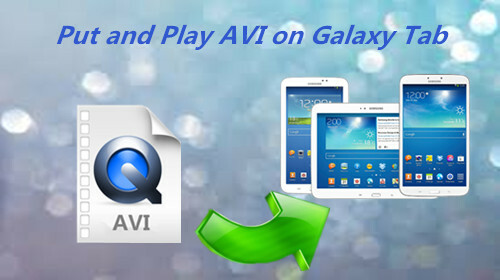 To put and play avi on galaxy tab, you just need convert your incompatible AVI file to an AVI format that is encoded with Galaxy Tab supported video and audio codecs, like MP3, AAC, DivX, XviD, MPEG4, H.263, and H.264. Click on the dropdown menu of "Format", and then choose a format from the output format menu. It is advised that you choose the optimized format for Galaxy Tabs (10.1, 8.9 and 7.0)- follow "Samsung">"Samsung Galaxy Tab H.264 (*.mp4)"- since this format acquires best video effect on Galaxy Tab with acceptable file size. 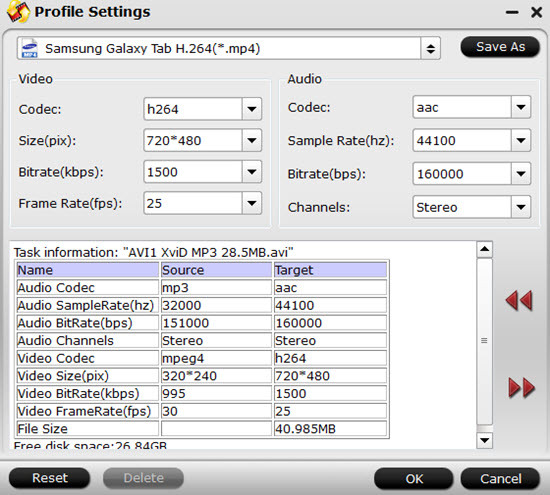 Pavtube galaxy tab video converter allows users clicking "Settings" button to adjust audio and video parameters, so as to customize the final output file quality for Galaxy Tab. The adjustable options include codec name, aspect ratio, bit rate, frame rate, sample rate and audio channel. 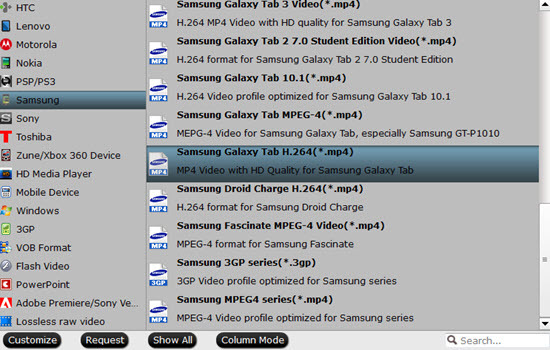 Once the above mentioned steps are finished, you can click "Convert" button to create Samsung Galaxy Tab AVI video. When conversion is completed, you can click "Open" button to get the final output AVI files for your Galaxy Tab. Just transfer AVI files directly to the memory card, and now your Galaxy Tab is able to play AVI files without any troubles. Hope this helps. For the latest Samsung S6 smartphone can also use this app to transfer various files to playback on it.